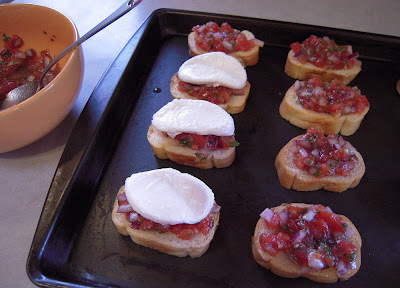 I was able to purchase some fresh mozzarella here the other day and it reminded me that I took pictures last December for a Brushetta recipe that I wanted to share. 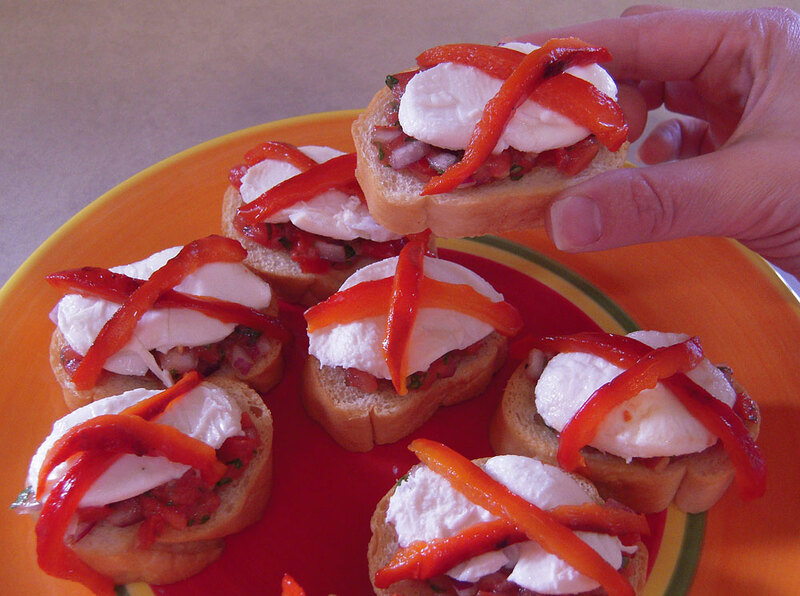 It’s fairly easy and you can prepare it a day in advance and assemble right before serving. Here’s what you’ll need: French Bread, Olive Oil, Tomatoes, Red Onion, Red Pepper, Garlic, Fresh Basil, Fresh Mozzarella, Ground Pepper, Sea Salt. 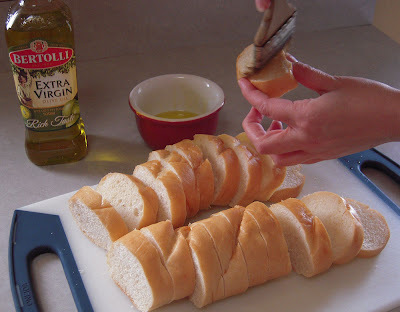 Slice the bread about ¾” thick and lightly brush both sides with olive oil. 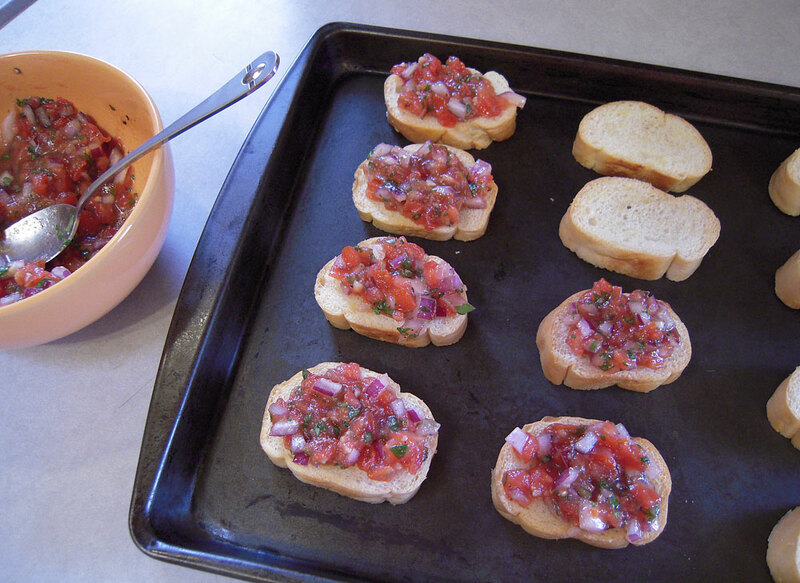 Toast in a 300º (150º C) oven for about 30 minutes, or until no longer soft inside. Roast the red pepper over an open flame, or under a broiler; turning it as the skin browns. 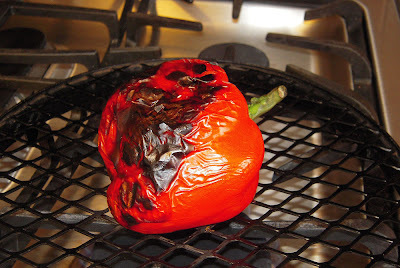 Place it in either a paper or plastic bag and wait for it to cool. Once the pepper cools; peel the skin off, remove the seeds and membrane, and slice into 1/4” slices. 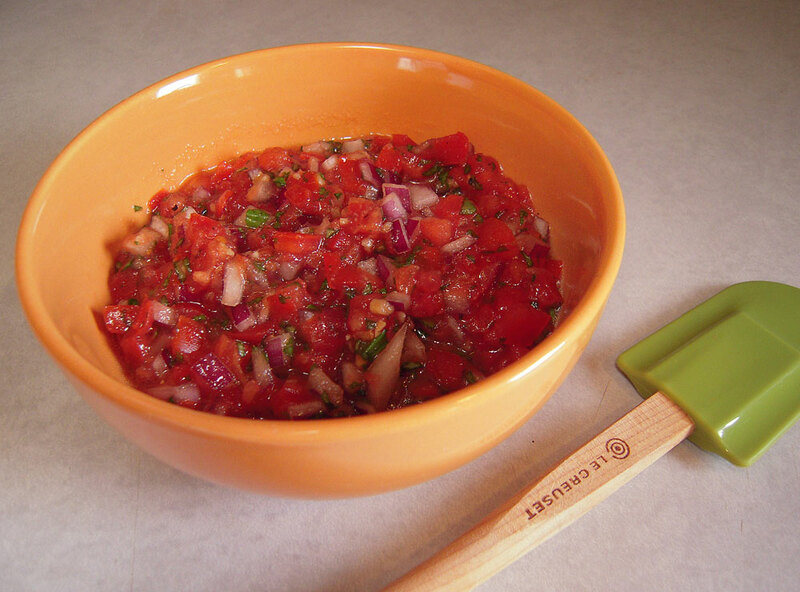 Top the toasted bread with the tomato mixture. 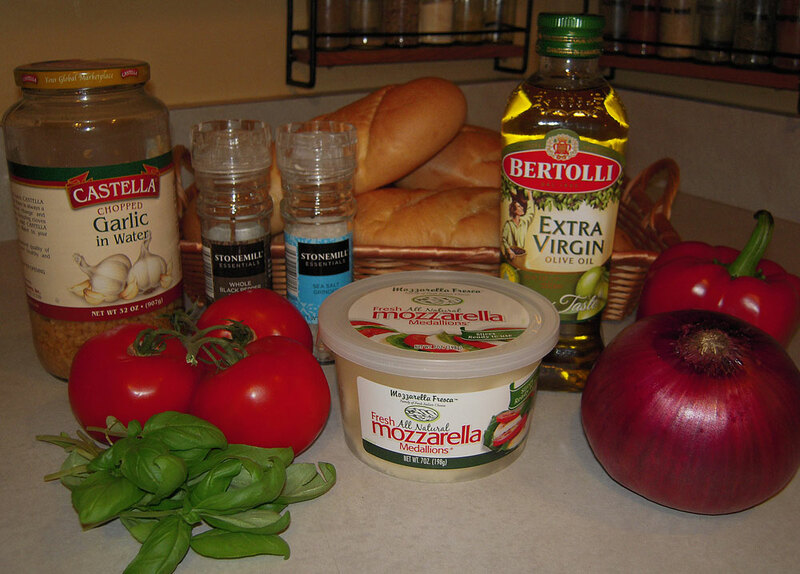 Place a slice of fresh mozzarella on top of the tomato mixture. * You can substitute regular salt and pepper. * You can also use either fresh or store bought jar garlic. * Although I didn’t use it when I made these, you can add a dash or three of Balsamic Vinegar. 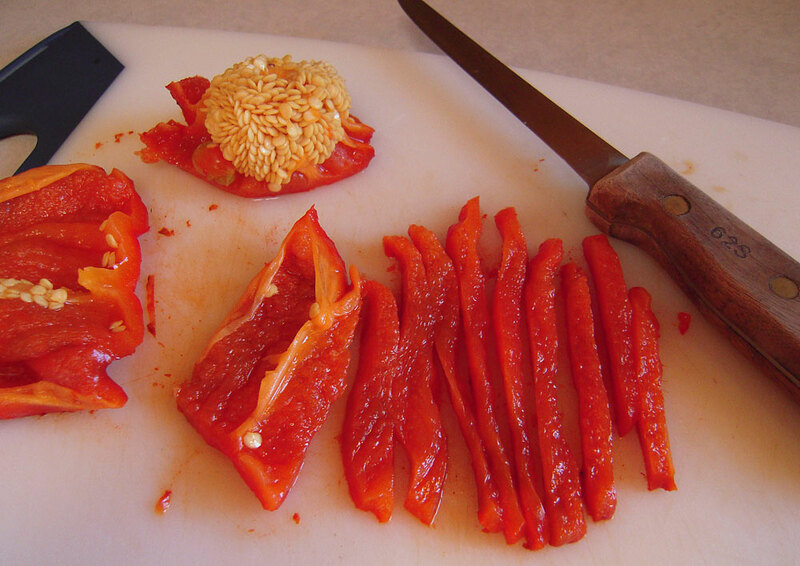 LOVE homemade roasted red peppers. man, this looks tasty! also, i love the smiling faces on the boys in the top middle of the banner header thingie. do you know them? what made them so happy this particular moment? i just love when people capture images that made me wonder about the people involved. great photo! Yum! and nice presentation, too! Yum! 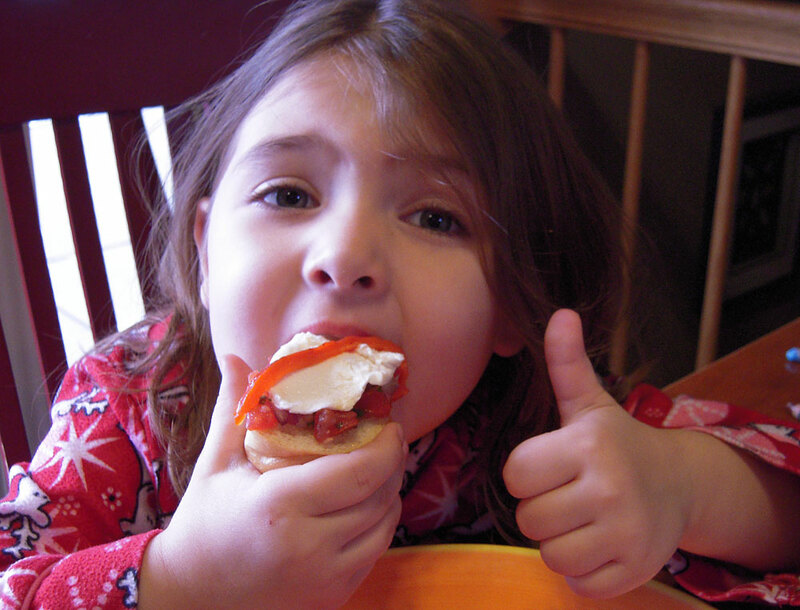 Nothing beats fresh mozzarella!